A Cabo beach wedding provides all sorts of fun opportunities for bachelorette parties. In fact, many Cabo brides look back on this experience and value their bachelorette party almost as much as the marriage ceremony. 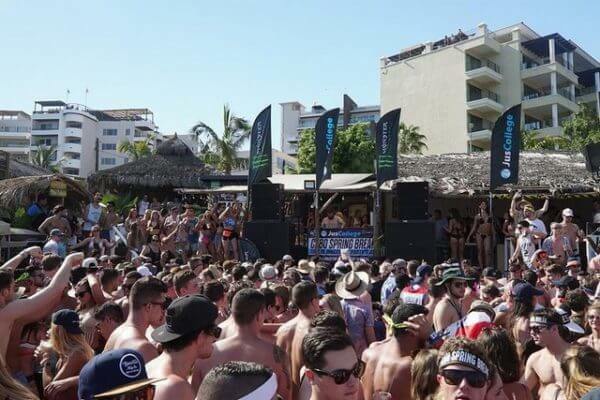 Cabo has just about everything you and your friends could hope for when it is time to celebrate. 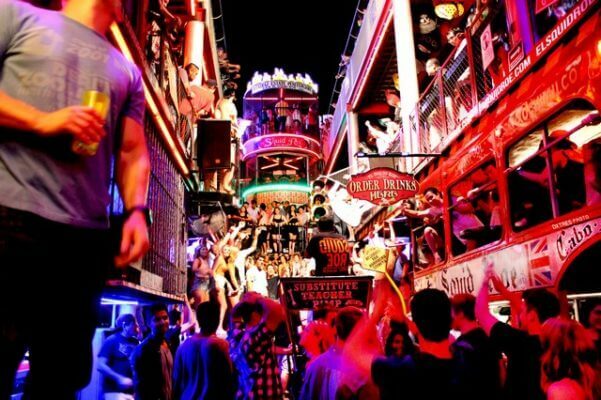 Take your bachelorette party to the limit by heading to downtown Cabo. The bar scene is hopping, the drinks taste fantastic and the music will get you moving. Cabo’s nightclubs and bars are merely steps away from each other, making it easy to enjoy multiple different bachelorette party destinations. This is your chance to let loose, indulge in some strong drinks and enjoy yourself before the big day. You deserve it, so have your event or wedding planner book you a table and bottle service for the night of a lifetime. Your group will have a ton of fun partaking in group activities in the water. Cabo presents opportunities to scuba dive, jet-ski, parasail, snorkel, swim, whale watch, fish and more. It is even possible to complete a brief scuba diving course to obtain certification. Your wedding planner will be able to book you a full day of fun in the sun, and even a sunset cruise or dinner to wrap up the day, just ask! Cabo has plenty of spectacular beaches where you can enjoy drinks, have a picnic, play some music and soak up the sun. Sure, it isn’t the fanciest of bachelorette party destinations, but the beach provides a glorious view, comfort and fresh air. Your group will have plenty of space to move around and enjoy food, drinks, volleyball, making sandcastles and will get some natural tan-time in for your wedding day. Day-time and nightlife tours are available. There is no sense in driving when someone else can chauffeur you and your crew across Cabo to various bachelorette party destinations. Take advantage of a private car service from your Cabo hotel or villa and you will be able to check out all of the area’s most interesting attractions. This is also your chance to be a VIP at Cabo clubs and bars. 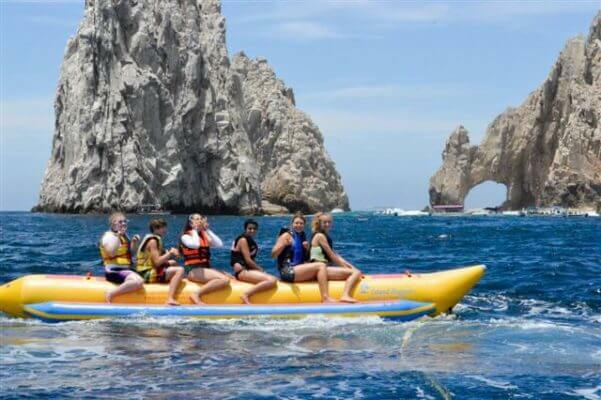 It’s the best and safest way to enjoy all of the bachelorette party destinations that Cabo San Lucas has to offer, as you do not have to worry about driving after drinking or navigating unfamiliar terrain. Cruise across Medano Bay and you will immediately find out why so many people fall in love with Cabo. Your cruise will take you by the famous El Arco rocks, Land’s End and along the beautiful Sea of Cortez. This is your chance to take in the beautiful scenery while partying with your group. You will see all sorts of wildlife and natural beauty. You might even spot a whale or two. If you are the adventurous type, consider an outback and camel safari instead of typical bachelorette party destinations. You will off-road deep into the outback on a quest for discovery. This adventure will fulfill your sense of wonder and show you a side of Cabo many do not get to see. You will ride a 4 x 4 through the desert, nature walk to beaches and ride a camel to boot. Some Cabo safaris also include fun activities like tortilla making classes, Mexican lunches and tequila tasting. Ask your wedding planner to organize the adventure for you and your group. The Cabo landscape is is rife with beautiful paths for explorers. Take it all in with a scenic ride on horseback or ATV. If you are hesitant to hop on a horse, don’t fret! You can take a practice run before embarking on your Cabo adventure or simply ride an ATV. This is your opportunity to explore Cabo in-depth. In fact, Cabo horseback and ATV expeditions are so customer-focused that it might even be possible for a driver to pick you up from your villa and transport you to a horse ranch or other area to start your ride. 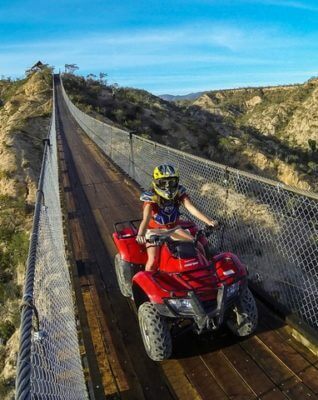 You can square your focus on enjoying the lovely landscape as you ride through the glorious trails, head along the beach and soak in the beauty of Cabo. If you are struggling to plan each detail of a bachelorette party, or need assistance with any other aspect of your Cabo wedding, lean on the expertise of an event planner. You should not spend your limited time planning all the details of your bachelorette party activities and wedding. We can help you find the best local vendors, manage logistics and information, organize receipts, double check everything, manage communication and more. This is the assistance you need to pull off an unforgettable bachelorette party and wedding while having fun and making memories. This entry was posted in BEACH WEDDING, DESTINATION WEDDINGS, LOS CABOS WEDDING PLANNER, WEDDING PLANNING, WEDDINGS VENUES and tagged Cabo Bachelorette Party Destinations.